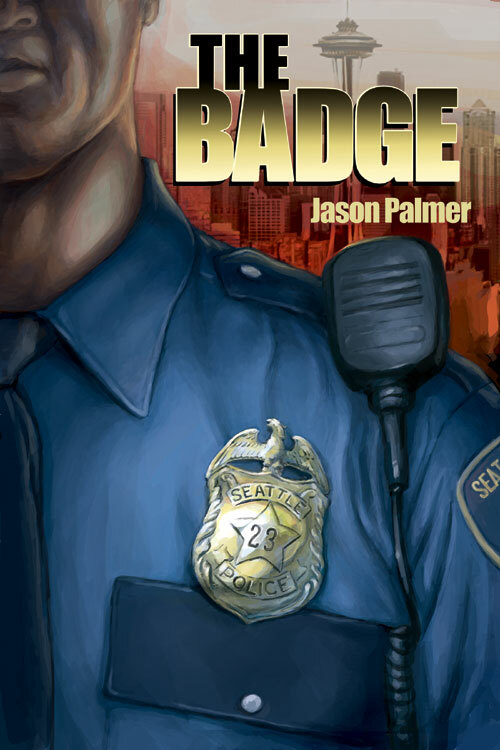 Jason Palmer wrote a big boy book(sans pictures) called The Badge and commissioned me for the cover. Hey there, buckaroos! Jim Clark and I, the team that brought you Scar Tissue, have been working on a new project. It's a Western, titled The Guns of Shadow Valley. I thought I'd share a few promo images that I've put together. If you're a fan of The Magnificent Seven, Silverado, or even Brisco County Junior then this is the book for you. It's big time adventure in the heart of big sky country. Brought to you in the comic equivalent of panoramic cinemascope, to capture all the grandeur of this larger than life epic. "Set in the 1880s in the Oklahoma Territories, The Guns of Shadow Valley tells the story of a unique posse of gunmen who ride into the mysterious Shadow Valley to protect an ancient secret." This is an idea I've had for a long time, and when I told Jim about it back at San Diego ComicCon 2007, he was convinced to come on board. We're writing this one together, and I'm taking on all the artistic chores: pencils, inks, colors, the whole shebang. It's still pretty early in the production. We hope to be submitting the pitch to publishers very soon. So, obviously, you can't order it yet. But I thought I'd take the opportunity to get some initial reactions and maybe spark some early interest.